People everywhere are most likely gearing up to get started with their holiday cleaning and decorating to make ready for the upcoming season. Most times people find themselves buying lots of new things to keep up with changing trends and because of this find themselves getting rid of most of their outdated stuff . 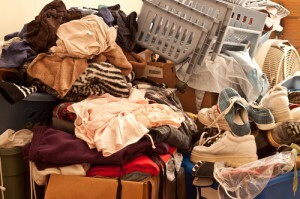 To properly manage waste it is best to contract a junk removal company to come in and assist them with all holiday clutter. Some of the most common items that people get rid of usually include old appliances and electronics, damaged furniture, bedding and E- waste however the problem with disposing most of these items is that they’re not collected by local trash disposal. This is mainly because waste management units responsible for local trash collection don’t possess the equipment or machinery for the removal of such items. So even though it may not be a problem to dispose of small decorations at the curb there lies the issue of disposing large and heavy items and other bulk waste. In cases like this contracting a junk removal company to come in and manage the removal and disposal of such items would be the best option. There is also the issue of hazardous waste that can be present in some appliances and electronics which can pose serious threats to health if not handled properly. Again this makes a professional junk removal company the best option as their skilled personnel are trained to manage such delicate tasks. Now that holiday cleaning is in the air old and unwanted Christmas trees are another popular item that many homeowners tend to throw out. For most people who own Christmas trees their purpose serves to bring about the thrilling feel of the holiday to homes however though they serve an exciting purpose there eventually comes a time when you need to get a new one. This leaves you with two issues. How to get it out of the house and how to get it disposed. Well hiring a junk removal company is a great way to manage this as their personnel can easily handle its removal and disposal in a prompt efficient manner with little or no hassle to you. In addition to this homeowners can also use this opportunity to clean up their backyards and surrounding areas of the homes as part of their holiday cleaning. Remove yard waste, old tools paints and any other junk lying around the outside of homes to make your holiday cleanup complete inside and out. Need help with your holiday junk removal? Then let us come in and give you a hand. Here at Junk King we offer affordable rates and top notch junk removal services 7 days a week to facilitate clean, spacious surroundings in and around homes . Rated #1 in the country you can benefit from our top rated services to make for fast, professional junk removal this holiday season. To arrange a visit look us up online at: www.junk-king.com to book or give us a call at 1-888-888-JUNK (5865) to schedule an appointment right away. This entry was posted in Uncategorized and tagged junk hauling, junk hauling sonoma, Junk King Sonoma, junk removal on November 6, 2017 by Julian Torres, "JT". Last updated November 7, 2017 .